While I’m generally comfortable with my body, I’ve always been self-conscious about my thighs—especially when I’ve to parade my bare legs in shorts and skirts to beat the Singapore heat. To lose weight, I’ve tried several tactics including unhealthy diets too. However, Teatoxes never worked on me and even with exercise, stubborn fats can’t be naturally spot-reduced. While fat removal is traditionally done via invasive surgeries such as Liposuction, scientists have discovered Fat Freezing; a non-invasive and non-surgical alternative that won’t leave scars. 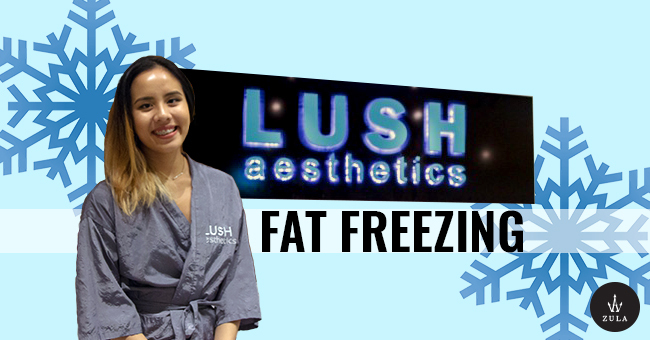 Fortunately, LUSH Aesthetics offers Fat Freezing in Singapore, and I got to see if it works first hand. 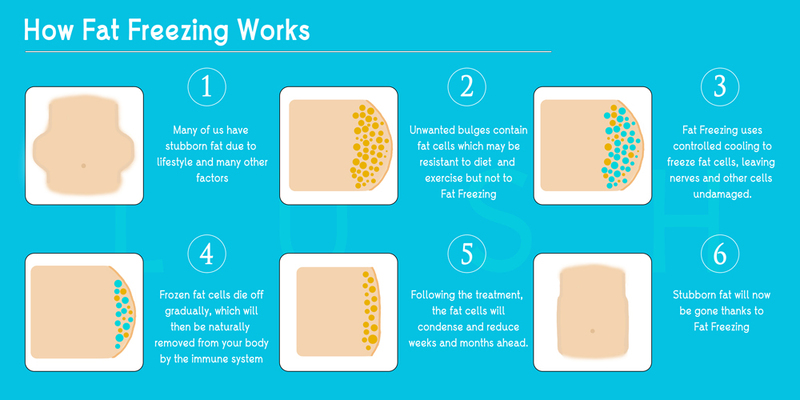 One treatment alone is said to reduce fat cells up to 25% on the treated area and the effect will last up to 6-months, depending on the individual. 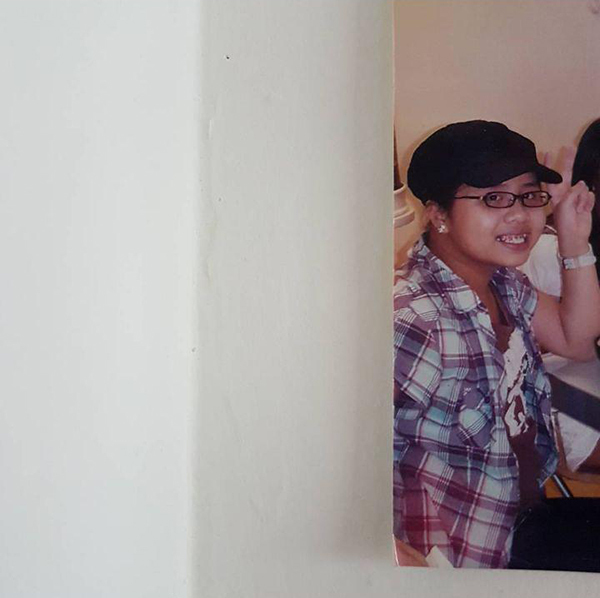 As a kid, I was somewhat horizontally-challenged. When I entered LUSH, I was greeted by a serene environment with friendly receptionists. After I registered, I filled out a form to disclose any pre-existing medical conditions. o for ladies looking to try this out, give them a call and check if you’re fit for the treatment before heading down. Next, I was led to a small room for a pre-treatment consultation with my aesthetician where she explained the procedure and expected outcome. After I told her I was interested in treating my inner thighs, she assessed the area to see if it was possible. She explained that my fat would be sucked into a suction cup, which came in different sizes—S, M, L, and XL. She told me the M size would be just right for my inner thighs. Since I had to do both my inner thighs, my treatment time took just under two hours. My aesthetician also reassured me that while my thighs may be slightly bruised after the treatment, it shouldn’t hinder my everyday activities. Tip: head to the toilet before your treatment, because you won’t be able to go once it starts. This is especially important if you’re doing your thighs, as you won’t be able to leave the room during intervals. I was then brought into the treatment room, where I changed into a robe to get more comfortable. Once I was ready, the fun part began! First, my aesthetician marked out the point on my leg where the suction cup applicator would go, which she applied vertically on my thigh. Next, she placed a membrane on my skin to protect it and to prevent blistering. The membrane sheet will make your skin slightly sticky, so don’t be alarmed. The aesthetician assured me it was normal, and proceeded to position the suction cup on the marked area. Once everything was set in place, she started the machine. Much to my horror and amazement, my thigh fat filled the entire M-sized suction cup applicator. Initially, I felt a ticklish pinching sensation due to how cold it was. My inner thigh remained sore for a few minutes, but after awhile, the area numbed completely and I couldn’t feel a thing—except the slight discomfort from not being able to move my legs. The thought of my weirdly angled legs quickly disappeared and I could enjoy the calm ambience of the room as I snuggled under the blanket I was tucked into. I chilled out (get it) with an episode of Gossip Girl and even managed to take a quick nap. 50 minutes later, my aesthetician returned to free me from the suction cup. Surprisingly, the release hurt more than the suction itself, but she massaged my inner thigh with a towel to get the blood flowing again and the pain quickly went away. Then, she placed another membrane sheet on my other inner thigh and repeated the entire process. After the second round and yet another episode of Gossip Girl, I was surprised to discover that neither of my legs had developed bruises. Besides a slight soreness that resembled the pain of mild period cramps that lasted about an hour after the treatment, I experienced no post-treatment pain. The membrane left a little sticky residue, but a quick wipe with a wet cloth made it go away. At the end of the procedure, I sat down for a final consultation with my aesthetician. She reminded me to increase my water intake to help the breakdown and elimination of the fat (a code for “You’re going to be peeing/pooping fat for a while!”). Using a suction cup and controlled cooling, you can target stubborn fat in problem areas such as tummy, love handles, thighs, and arms. The area you select is cooled to a low temperature that reduces the fat, while other tissues, nerves, and cells remain unaffected. Within a few weeks, you should start to see results and enjoy your new figure. Your results will be most prominent three months after the treatment, and you’ll continue to see improvements up to six months post-treatment. At LUSH Aesthetics, an average treatment is about an hour long; a 10-minute consultation and a 50-minute treatment. If you opt to do a set of limbs such as your thighs or your arms, the procedure will take an additional 50 minutes as they have to apply the suction cup one at a time. Throughout the entire process, I felt right at home due to the professionalism of the staff at LUSH Aesthetics. I didn’t feel nervous or lost thanks to my aesthetician who patiently answered all my questions. Overall, it was a hassle-free and enjoyable experience. While I didn’t see much of a difference immediately after my treatment, my jeans did begin to feel a tad looser around the treated areas. I thought it might have been a placebo effect, but when I measured my inner thighs two weeks later, I was pleasantly surprised they’d gone from 54cm to 52cm. While I only needed one session to see and feel a difference, results will vary for each individual due to differing metabolic rates. 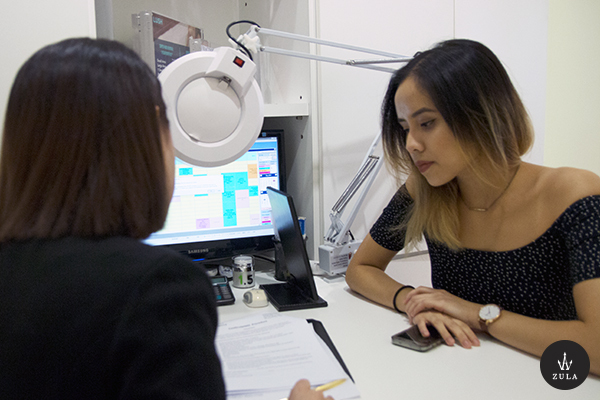 Just consult your aesthetician and monitor your results till you’re satisfied. This treatment isn’t for those looking for a quick fix, as results are best seen after 3 months. However, I’d recommend this to anyone who’s looking for an effortless way of getting rid of stubborn fat without time constraints. While there’s a possibility of developing bruises, I didn’t gain any from my experience, so it’s really dependent on your body and skin type! An award-winning aesthetics centre, LUSH Aesthetics prides itself in using latest aesthetic equipment and technology (FDA approved). To indulge in a complete transformation, you can try their variety of services, which include teeth whitening, skin care, and slimming. With two outlets in Singapore and 20 treatments available, you’re sure to find something to suit your beauty needs. This post was kindly sponsored by LUSH Aesthetics.